Steve Riley's self-built Holden ute will contest the 2019 Dakar Rally. An Aussie Holden ute will compete in next year’s Dakar Rally – the first time the iconic Aussie car has hit the stages of the world’s most famous endurance event. 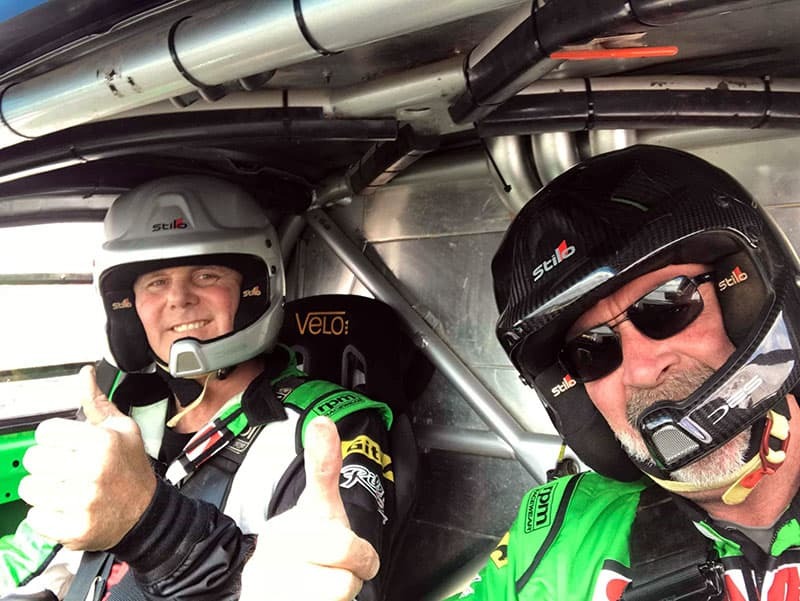 Steve Riley, a former off-road motorcycle racer and three times auto winner of the Australian Safari Rally, will team up with co/driver and friend Trev Hanks for their Dakar Rally assault. For the first time in its history, the Dakar Rally will take place in only one country, Peru. The route for the 41st edition of the South American event was revealed by rally organiser ASO following the news that Chile aand Argentina had dropped out of a potential return to hosting the event at the last minute. Steve Riley (left) and Trev Hanks are ready for their 2019 Dakar challenge. Comprising of 10 stages and a rest day, all within Peru, the Dakar will start and end in the capital city Lima. It will begin on January 6 and finish on January 17. The Peruvian desert sand and dunes will play a decisive role in the quest for top honours, as this year’s rally will traverse Peru and cover 5000km of the toughest and remote country possible, with over 70% of the rally being dunes and sand, as well as at extreme altitude. Riley has completed final testing of the Holden Ute, which was undertaken south of Perth on the Great Australian Bight in dune fields similar to what is expected in Peru. “It was rough and tough testing, but essential to familiarise and hone our driving skills for the required sand dunes,” Trev Hanks said from the team workshop in Leongatha, Victoria. Riley is no stranger to long distance extreme cross country rallies, having competed in many national and international events both on motorcycles in the late 80s up to 2000 with Honda Australia, then through a successful transition to cross country car racing with a Mitsubishi Pajero. 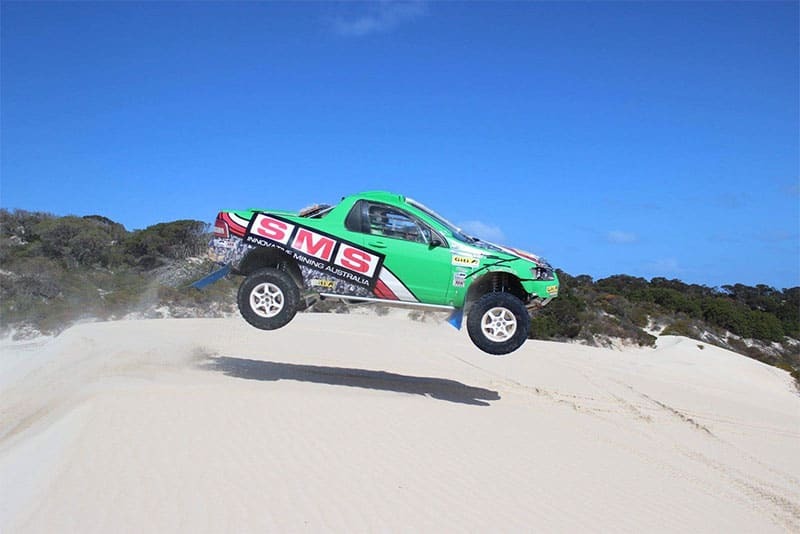 Steve Riley launches his Holden ute during testing in Western Australia recently. He has twice competed at Dakar as co/driver – in 2011 in the Cairns Coconut Race Team, and again in 2013 with the Izuzu Motorsports squad. He finished the rally on both occasions. He is keen to compete in Dakar 2019 with his own team and car. He’s built the Holden ute from his own design in his farm workshop on his dairy farm in Gippsland with some help of some very skilled friends. Some great Aussie parts and design have been used, and he’s hoping can get the car to the finish of Dakar, which is their ultimate goal. Keeping the car going during the day won’t be easy thought. Hopefully they get to the overnight stops where, along with a crew of four mechanics and a service truck, they will carry out servicing and repairs as required. 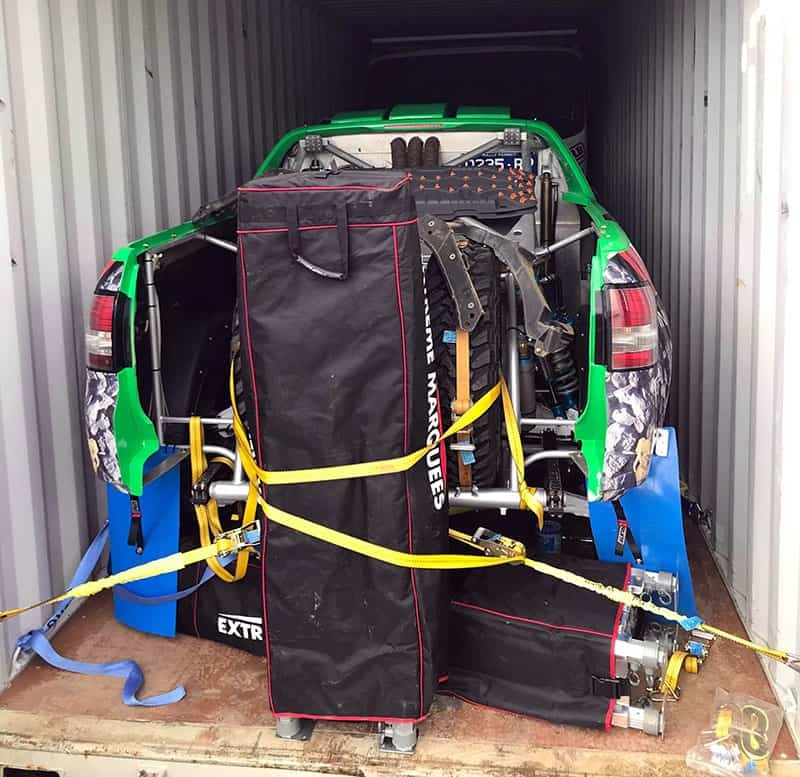 The Commodore packed and ready to head to Peru for the 2019 Dakar Rally.